Compendium: This is part 3 of 3 posts that are warnings of posts, web pages, and speakers who sound ‘Christian’ but are not. Be sure to check out their origins, statement of faith, etc. It is VERY easy to fall prey to pseudo-Christian cults through deception. Compendium: The next 3 posts are warnings of posts, web pages, and speakers who sound ‘Christian’ but are not. Be sure to check out their origins, statement of faith, etc. 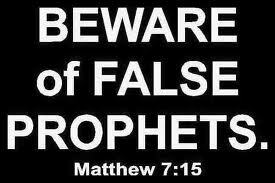 It is VERY easy to fall prey to pseudo-Christian cults through deception. COMPENDIUM: THIS IS VERY GOOD! IT’S THE GIST OF WHAT AILS COMMON ‘PICK AND CHOOSE’ METHOD THAT PEOPLE AND CHURCHES USE ALL THE TIME!